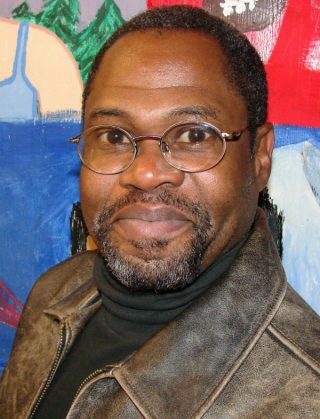 Well-known northeast Portland neighborhood organizer and nonprofit leader Craig Fondren has been hired as the Community Programs Manager at the Community Cycling Center. Fondren was formerly executive director of the Sabin Community Development Corporation (CDC), a group that works to make housing more affordable for people of color and people with lower incomes. In 2011, Fondren was named Newsmaker of the Year by the Royal Rosarians for his work in bringing free technology and training to northeast Portland residents. Mr. Fondren’s primary initial work will be leading the Community Cycling Center’s programs in the New Columbia / Portsmouth neighborhood of North Portland… Mr. Fondren will also be working with the parents, staff, and community at Cesar Chavez and Rosa Parks schools (both in Portsmouth) through our “Community Based Safe Routes to School” initiative. In the longer term, Mr. Fondren will work with the team at the Cycling Center to identify other needs and opportunities for Community Programs. Fondren will start his new job with a strong foundation. For the past 10 years, the CCC has been active in north Portland. Their small bike shop in the New Columbia neighborhood (known as the “Hub”) is adjacent to an off-road pump track and offers free bike repair, mechanic training and an earn-a-bike program. Fondren takes over this position from Ira Dixon, who is moving out of Portland after two years in the role. Welcome to the mix Craig! We look forward to meeting you and spreading the word about your work. Congrats, Craig! The CCC is a city gem – looking forward to your leadership and seeing where you take the organization.